Liverpool are currently top of the Premier League having won an incredible 18 games from 22 matches so far this season – but one scoreline has been far more prevalent than in previous seasons under Jurgen Klopp. The only team the Reds beat 1-0 in 2017/18 was Crystal Palace thanks to a Sadio Mane strike. That came at Anfield in August 2017. This season, though, wins by that scoreline have come against Brighton (twice), Napoli, Huddersfield and Everton. 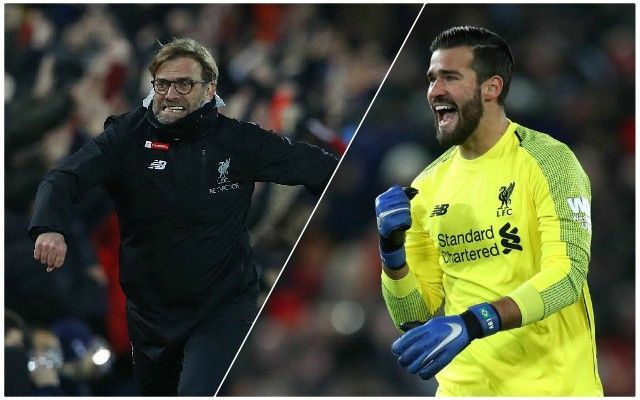 Now able to rely on a defence which has kept 13 clean sheets in 22 games in the league, Klopp’s men know they normally only need one moment of magic – as Mo Salah provided at the Amex Stadium – to pick up the three points. While 4-3 victories were just as likely as 1-0 wins last season, this year the control in Liverpool’s game has been evident. After 22 matches last season, the Reds had conceded 25 times (15 more than this season) and had 13 fewer points. That is why the Reds are in pole position to win the title – they now have the hallmark of champions.